Surely, you&rsquo;ve heard me say it before. Milwaukee Public Schools&rsquo; family of public Montessori schools is unrivaled in the United States. No other city can boast seven traditional public Montessori schools plus one district charter Montessori program. 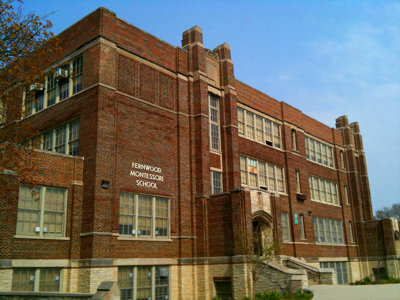 Among MPS&rsquo; group of eight schools there is a rare Montessori high school program (at MacDowell), a groundbreaking public Montessori charter (Highland) and schools that are among the highest performing in the district. One of them, Fernwood, is one of just five or six percent of schools in the entire state that was credited with “significantly exceeding expectations” last year. But don&rsquo;t take my word for it. In a report a couple years ago the Milwaukee NAACP said MPS&rsquo; Montessori schools offer the best opportunity for African-American kids to get a great education in the city. And now, folks are coming by the busload to check out the schools. The bus will leave Capital City at 8:30 a.m. and make stops at Craig Montessori on the Northwest Side, Highland Community School &ndash; now in larger digs in the former MacDowell Montessori building at 17th and Highland &ndash; and Fernwood Montessori. While at Highland, the edu-tourists will enjoy lunch arranged by the community at Maryland Avenue Montessori School. You see, these schools are also a model of how individual programs within MPS can collaborate and share ideas (such as the annual Montessori summit, which took place in January). The tour was organized by former Craig Montessori teacher Melissa Droessler, who returned to her hometown of Madison to open that city&rsquo;s first public Montessori school &ndash; Isthmus Montessori Academy &ndash; which is seeking a charter with Madison Metropolitan School District. “On Feb. 13, Isthmus Montessori Academy submitted an application to become the first public Montessori school in the Madison Metropolitan School District (MMSD),” Droessler wrote in a Facebook post. “That application detailed the work of Dr. Maria Montessori along with the successes of public Montessori Schools in Milwaukee, other locations in Wisconsin and beyond. But as Montessori educators, we know that nothing compares to seeing our educational philosophy in action. The tour was coordinated with the help of MPS board member Meagan Holman &ndash; whose children attend an MPS Montessori &ndash; and Jenni Hofschulte. “We’re proud to show off the teachers, staff and students that have made our Montessori schools so successful,” says Hofschulte, a Maryland Avenue Montessori parent who also serves as coordinator of the Montessori Milwaukee advocacy group. Previous articleIs re-centralization helping school budgets?